In Taiwan, the first Toastmasters club (Taipei Toastmasters club) was established in 1958. 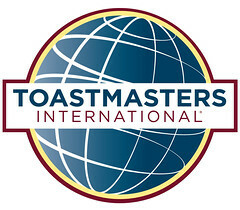 The governing body of Toastmasters on Taiwan is the D67 of Toastmasters International located in Taipei. Over the last 56 years, we have 179 clubs island-wide. The majority of the clubs are English clubs, and the others are Japanese, Mandarin, Taiwanese and Hakka clubs. Our members come from all walks of life, managers, teachers, trainers, professors, salespersons, doctors, civil servants, students and housewives. We have a diversified membership of many different nationalities. The clubs are public clubs, company clubs, community clubs and university clubs. Our sole purpose is to gain personal growth through the training of communication and leadership skills in a positive environment.